Explore Wanaka's tracks and trails with this 3 hour electric mountain bike hire. 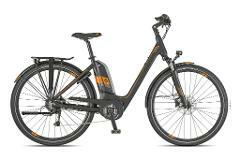 Our performance e-bikes are smooth to ride and easy to use. Simply switch on and ride away with a permanent tail-wind! Cruise Wanaka's town and lakeside trails with this half day electric cruiser bike hire. Our e-bikes are smooth to ride and easy to use. Simply switch on and ride away with a permanent tail-wind! Explore Wanaka's tracks and trails with this 7 hour electric mountain bike hire. 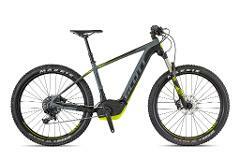 Our performance e-bikes are smooth to ride and easy to use. Simply switch on and ride away with a permanent tail-wind! Cruise Wanaka's town and lakeside trails with this full day electric cruiser bike hire. Our e-bikes are smooth to ride and easy to use. Simply switch on and ride away with a permanent tail-wind! Cruise Wanaka's town and lakeside trails with this overnight electric cruiser bike hire. Our e-bikes are smooth to ride and easy to use. Simply switch on and ride away with a permanent tail-wind!